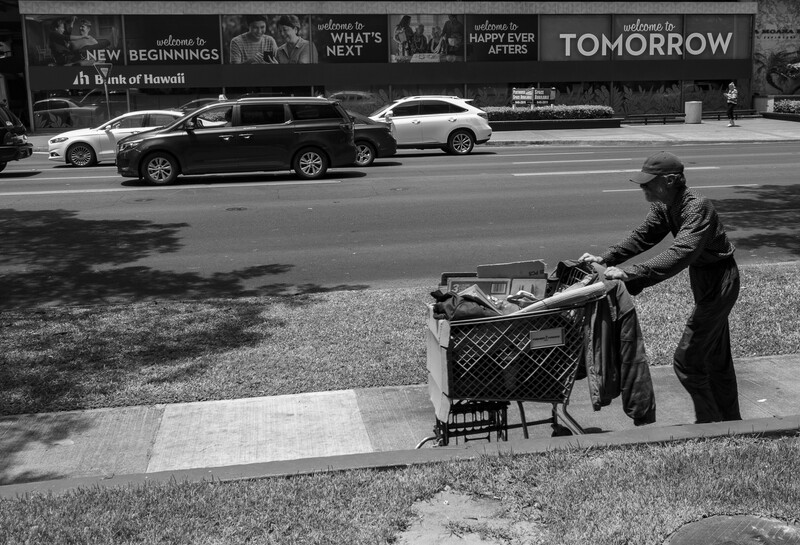 The photographer spends his lunch hours in the Ala Moana area watching others working, walking and enjoying a siesta. 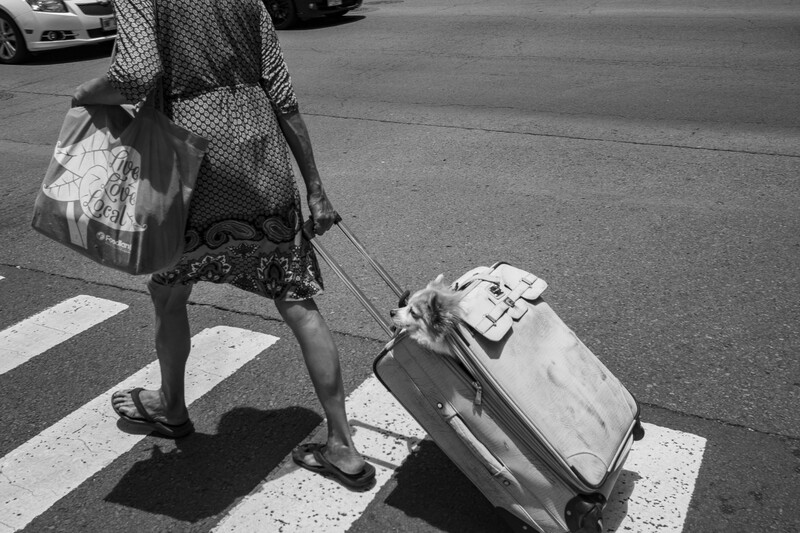 It probably wasn’t a stowaway, but this dog was getting a free ride courtesy of a woman intent on crossing the street with her baggage. Outside a Wal-Mart store, two men employed throwback and modern versions of telephone service. Could the sign borne by a woman on Keeamouku Street have been a message for the occupant of a passing ambulance? A man rolled his possessions past some hopeful economic messages outside a bank building. 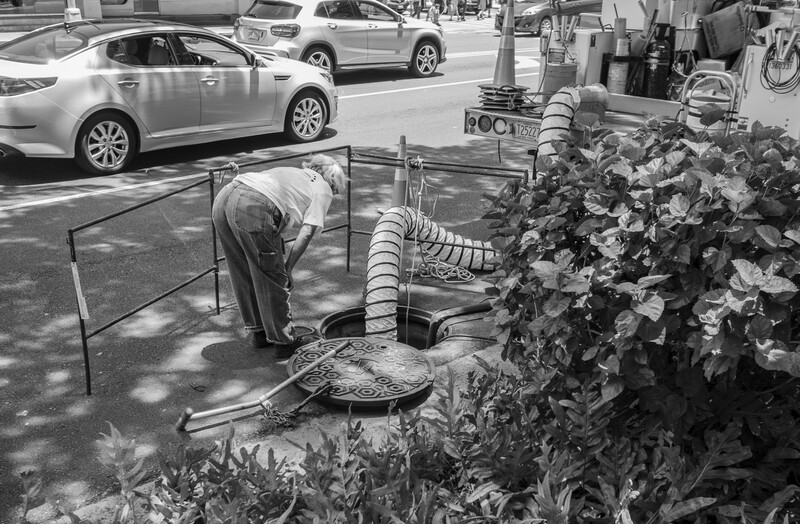 A Hawaiian Telcom employee peered down an open manhole as utility work was done on Keeaumoku Street. 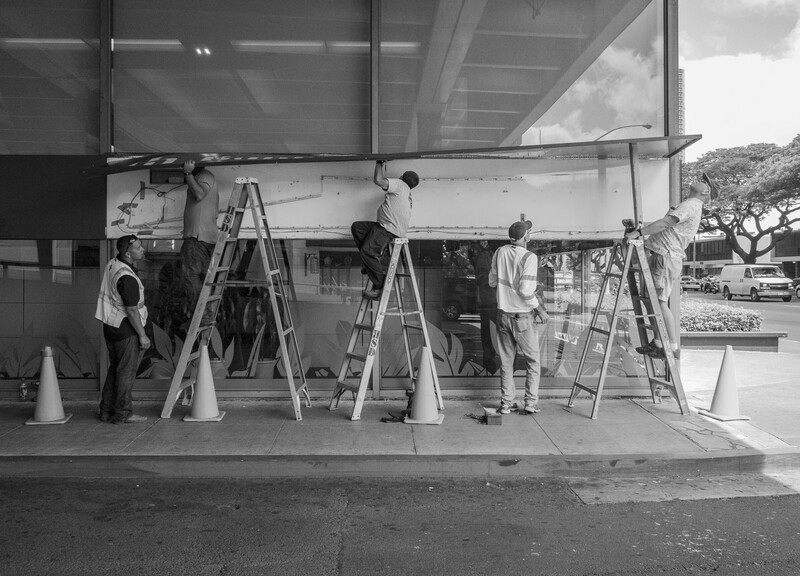 Teamwork and synchronization came into play as men worked on a sign outside a Bank of Hawaii building. 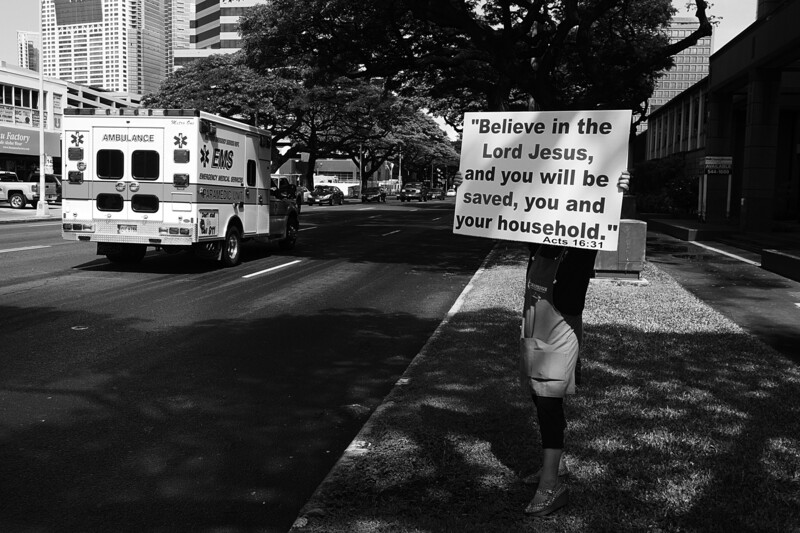 Crossing the busy intersection of Kapiolani Boulevard and Kaheka Street. Being downtown doesn’t always mean smooth sailing on the thoroughfares. 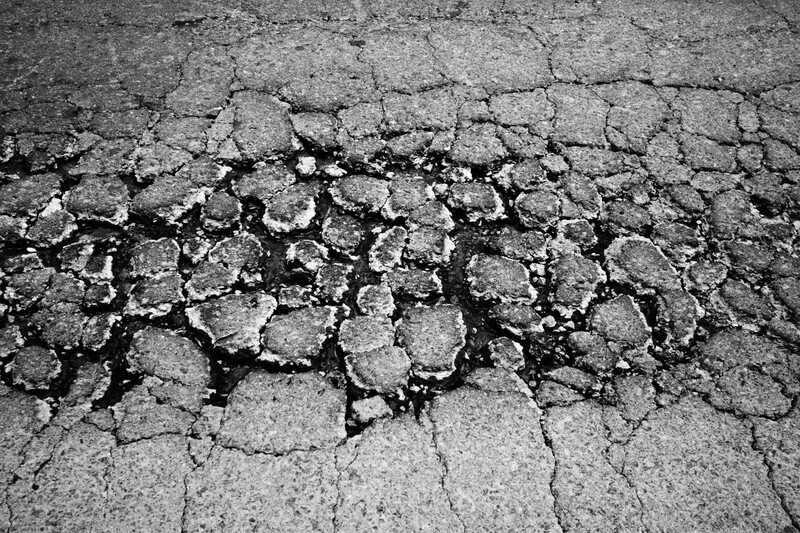 This fractured patch is at the edge of Kapiolani Boulevard. 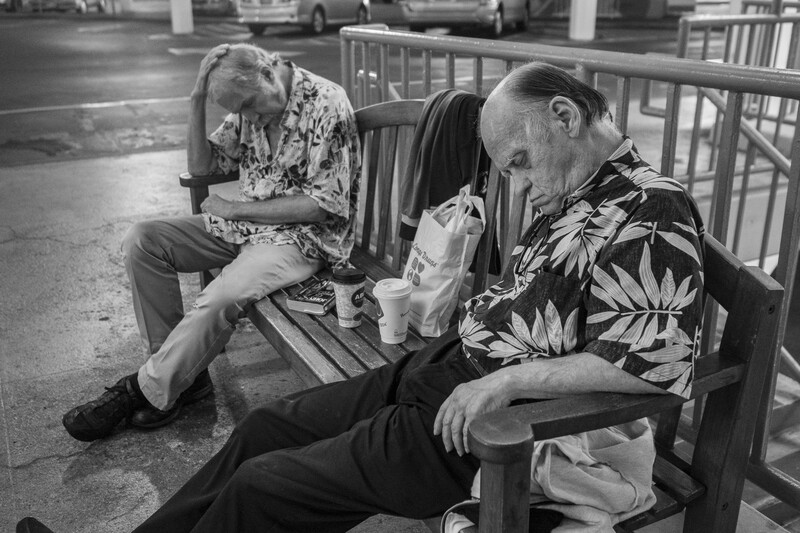 Two men got a little shut-eye on a bench near Macy’s at Ala Moana Center. A well-rested afternoon awaited them. 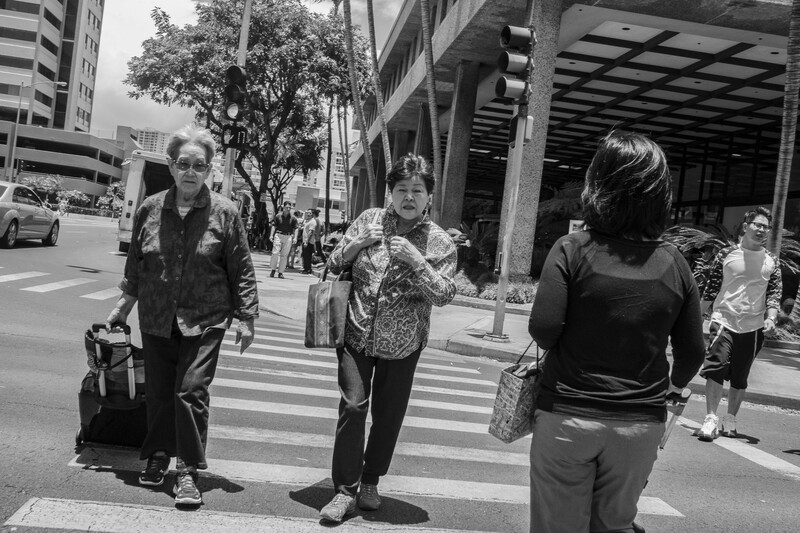 Tim Huynh is a photographer who is inspired by Hawaii’s natural beauty but prefers to capture the raw, candid moments of life in Honolulu through street photography. Keep up with him at www.timhuynhphotography.com.